You will find yourself on a small island by this seed. You immediately see the extraordinarily red land on the horizon if you go to the side! Biome occupies little space, so it is unique. 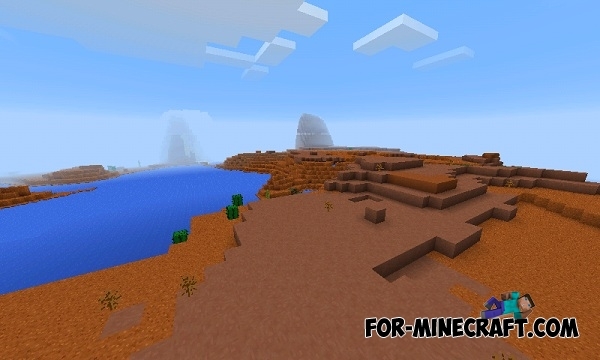 Big snow Biome for Minecraft Pocket EditionThis snow biome occupies a huge area, so you will need some time to explore it..
Two villages and jungle biome seed for MCPE 0.15.0/0.15.1You will spawn in a small village, located near the jungle biome.